And here it was the next morning! This morning it was totally snow free - hurrah! 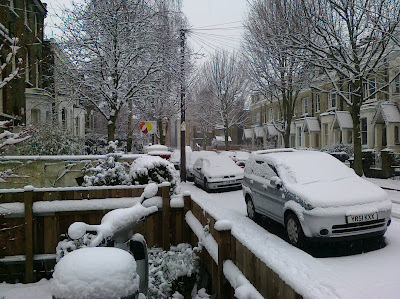 Sorry, I'm sure we've all had enough of the snow to last us a lifetime, it's just such a novelty, I've lived in London all my life and can't remember there ever being this much snow for so long! 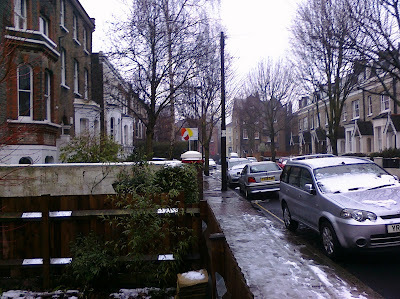 Anyway, it seems that the snow is just an excuse for Londoners to parade their new brightly coloured wellies about... it used to be that people just wore them for mud, then it was festivals (although that counts as mud I guess) and now it's snow too! Whyyy? I can understand if you're in it up to 1/2 a foot deep, but it never gets that deep in London! 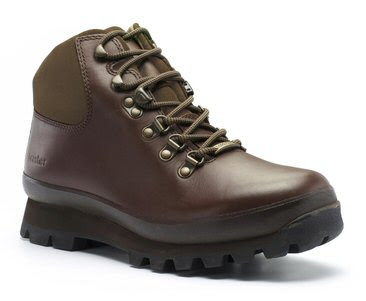 Wellies have rubbish grips, it's hilarious to see such wearers slipping about on the snow and ice all for the sake of fashion! 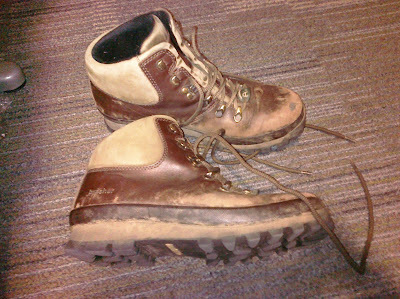 These boots have trekked up numerous hills and a few mountains to boot, including Scafell Pike and Helvellyn!! Ahh well, I have had them about 6 years at least! Anyway, I don't really have anything much of interest to say, I'm just killing time as my friend's on her way over to pick me up, we're off to my old stomping ground for a drink and a bite to eat in a fab pub that does awesome steak so more about that later! I've been a good girl today though and did Jillian Michael's 30 Day Shred this morning (FAB DVD, will have to review soon once I've moved up a level!) and at lunch I did some skipping and arm weights - rock on!